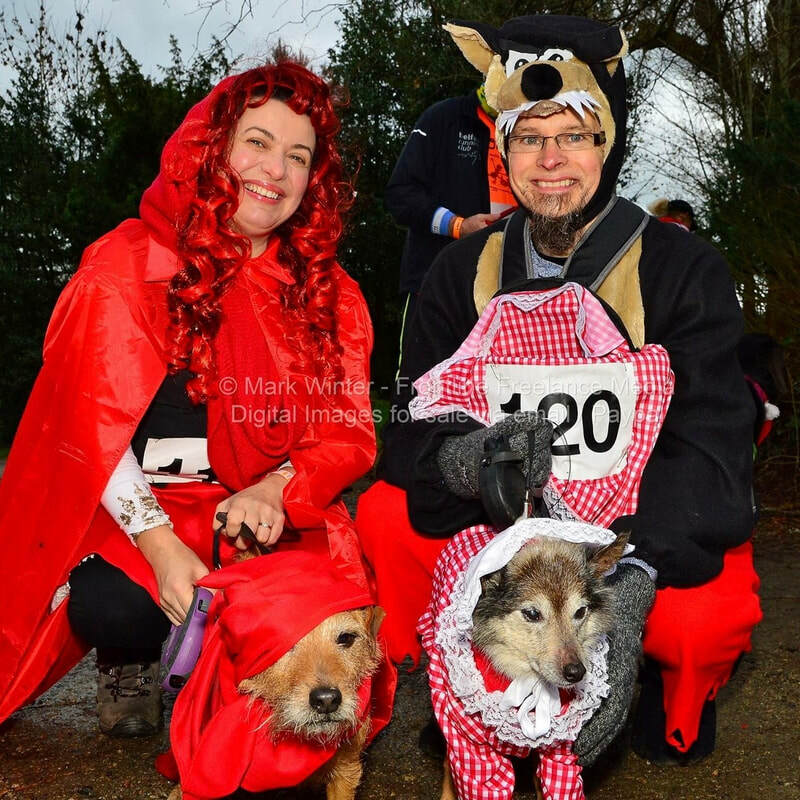 At every race the special Spirit of Waggy Races Award (SOWRA) is presented to a human/dog team that is deemed deserving of the accolade. The winner walks away with a prestigious Murphy’s Barkery giant cookie and below is the celebrated hall of fame of all our previous winners! 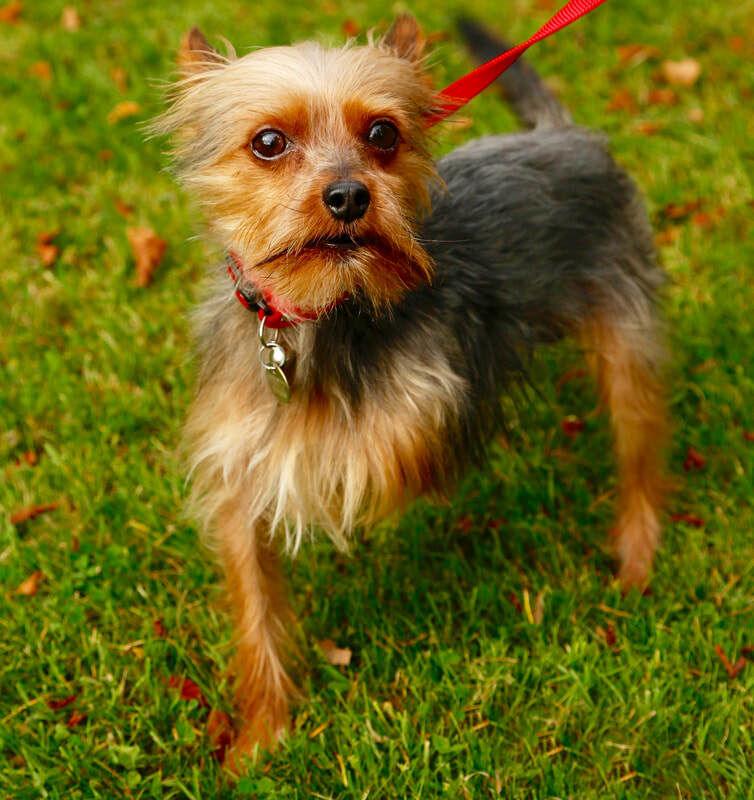 Many of you will remember 3-legged tea-cup Yorkshire terrier George as the winner of the inaugural SOWRA! He had a very special story - when he was just a pup George had his front left leg amputated after it was closed in a door. To make matters worse, he was then put up for re-homing and despite not turning 2 until July (2014) had been re-homed an unbelievable EIGHT times. Owner Bernadette said that after arriving with her, he has a perfect little life and having only 3 legs made him all the more special. A very deserving winner. Torie, who is registered blind, is a regular parkrunner who has completed several Waggy Races and has been a great advocate of our races on social media. 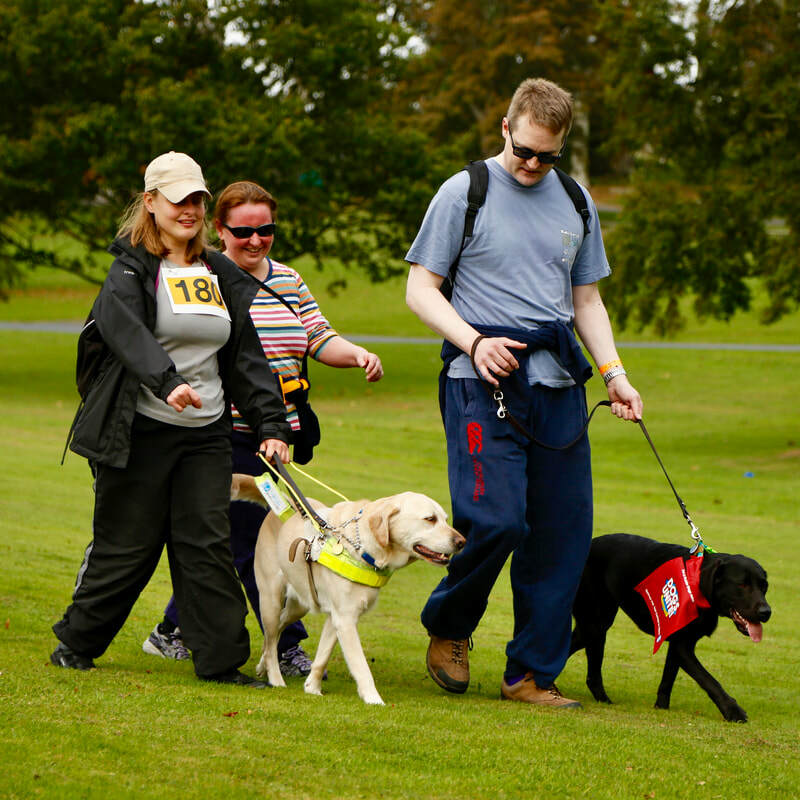 Lab Ushi is the only working Guide Dog to have competed at Waggy Races and he successfully guided Torie around the hilly Tollymore course along some narrow trails and over some pretty tricky terrain. Ushi was delighted with the prize and enjoyed the 17,000 KCal monster cookie in instalments after the race! Our first fancy dress race took place on the beach at a freezing cold Murlough Bay, Co Down. The SOWR best dressed Award went to Personal Trainer and Life Coach Claire Withers with photogenic beagle Cash (judged by the ladies from Murphy’s Barkery). These two slightly frozen elves also finished third in the race, so it was a good haul for Team Cash that cold December day on the beach! Terrier Max of Team Kerr was the lucky recipient of the SOWRA cookie on Portstewart Strand. For anyone who doesn’t know, Team Kerr are an assisted running team from Co Down who run in events from 5k to marathon distance while pushing son Aaron in his custom made wheelchair. They’ve notched up thousands of racing miles all over Ireland, which has included over 30 marathons, with an aim of promoting inclusion among the running community. We are now very proud to support their charity Aaron’s Army, which aims to raise funds to purchase jogging chairs to donate to people with disabilities. ​While Sandra and terrier Max had entered every Waggy Races, the flat compacted sand of Portstewart Strand was the first opportunity to welcome Team Kerr en masse - mum Sandra, dad David, son Aaron and terrier Max. We couldn’t think of anyone more deserving of the Award on the Strand that day than this very inspirational family from Hillsborough Co Down! This is a great story. In 2002, a terrier mix puppy was found wandering the streets of Sydney, Australia by a young lady called Bronwyn. She subsequently picked him up and adopted him. Five years later, Bronwyn and pup (now called Scrap) boarded a plane and moved to Co Donegal, where he achieved near celebrity status and a sizeable social media following via his ‘Scrap's Book - Tails of The Dog from Down Under in Donegal’. Aged 16, Scrap completed his first Waggy Races at Montalto and in doing so made the fifth SOWRA an obvious choice. Brownyn and Scrap made Waggy Races history at this race by being the first team to win the SOWRA twice! This was another best dressed award and their depiction of Little Red Riding Hood, Grandma and the Big Bad Wolf was judged by the ladies from Guide Dogs NI to be the best dressed team, fighting off stiff opposition from the Smarts (Luke Skywalker, Princess Lea and greened up jack Russell Yoda/Dexter), as well as numerous Pumpkins, Santas, elves, minnions and robbers. Very sadly, this was to be Scrap’s final Waggy Races, but he will remain a firm Waggy Races favourite and will be fondly remembered by the Waggy Races crew. 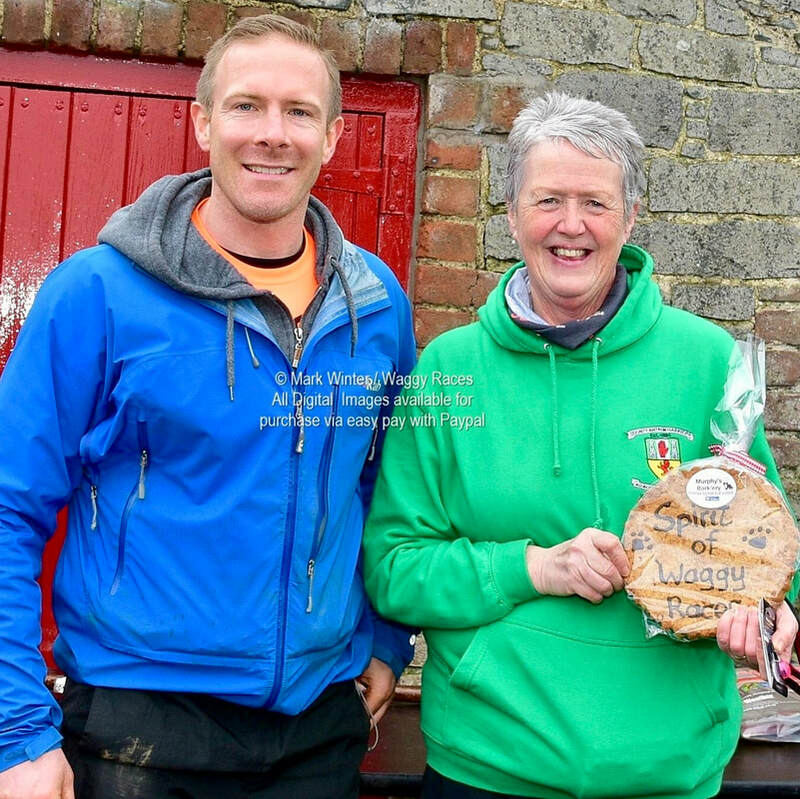 Eileen and Border Collie Jack are well known among running and dog agility circles in NI and were very worthy winners at the muckiest Waggy Races ever. Eileen epitomises everything that our events aim to achieve – she runs for fun, loves the craic and really contributes to the atmosphere on race day with her pals from Co Antrim Harriers. She had in fact sacked another race that she entered on the same day as Larchfield to ensure her 100% Waggy Races record remained intact. She remains one of a handful of people who have competed in every race (currently 12). She also supplies a car park marshal in the form of husband big Ian and has been a great ambassador for our events over the last few years. 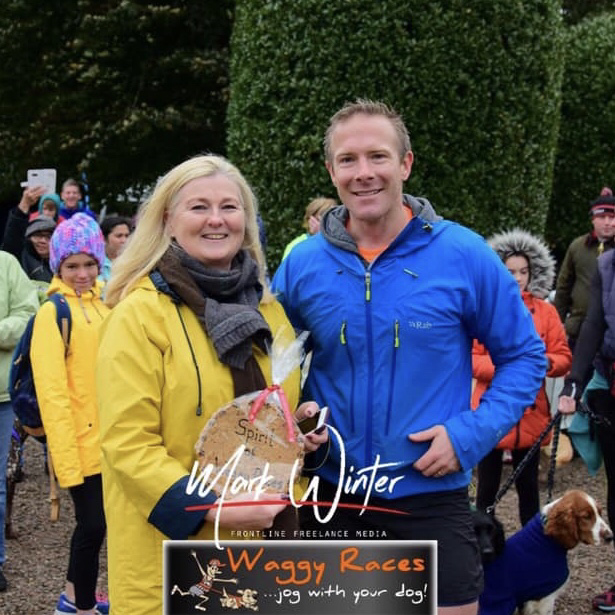 In December 2013, Kerry McCaughan was the first person to ever enter Waggy Races and has been ever present since, becoming a good friend in the process. 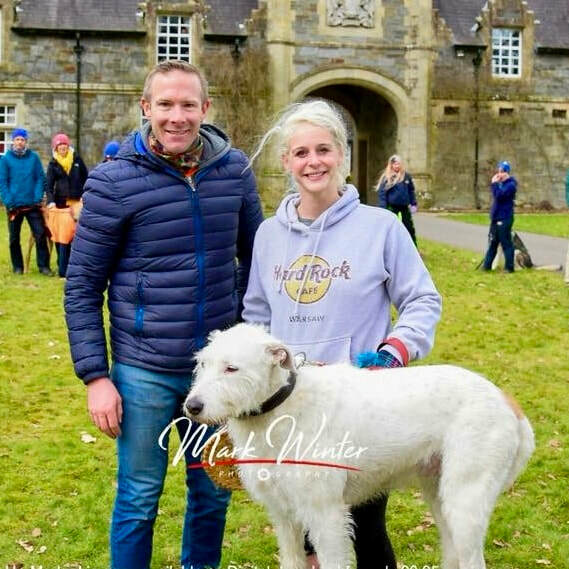 The Mount Stewart 5k was her 8th race but her first with just one dog (Mack) as unfortunately her other dog Finn received some bad news at the vets with a cancer diagnosis during the run up to the race and just wouldn’t be fit for it. Kerry (alongside partner in crime Bev and hound Mack) achieved her first podium place at Mount Stewart and deservedly picked up the SOWRA. 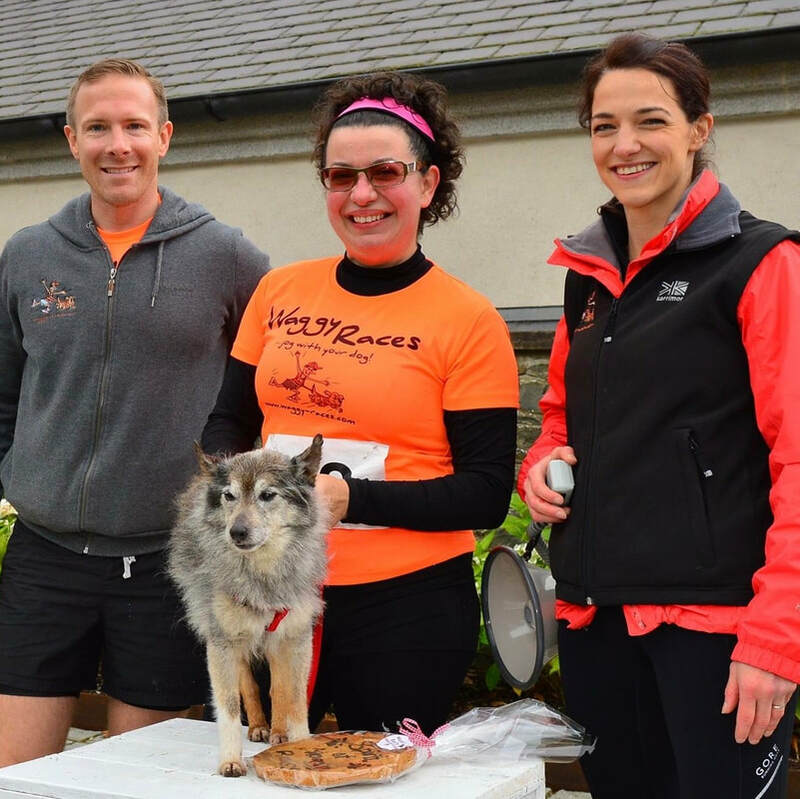 Her brilliant account of the Mount Stewart 5k can be read HERE. K9 grooming studio’s Aimee has competed in all but the first Waggy Races and has been easily identifiable alongside black cocker spaniels Jet and Enzo. Unfortunately at Mount Stewart the team was conspicuous by the absence of Jet. You see, in May that year Jet had picked up a serious spinal injury, collapsed and was unable to walk. The outlook was grim and he was given only a very slim chance of recovery, which presented a heart broken Aimee with two choices. Thankfully she chose option B and set about devoting her time to his rehab and recovery. It’s testament to her and her dedication and love for Jet that over many months and against all the odds, the then 13 year old Jet was able to recover and rejoin the team. Comeback kid Jet completed the Portstewart Strand 5k in tandem with an emotional Aimee and Enzo. The SOWRA is never a decision taken lightly and Andrew from Andrew’s Animals and high pitched barking collie cross Minnie were worthy winners in the woods. Outside of Waggy Racing, Andrew has been smashing runs literally all over the world, all the while flying the Waggy Races flag in his orange t-shirt. 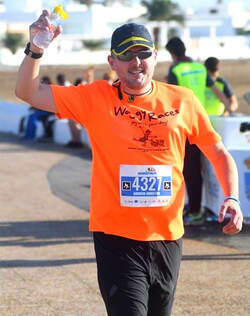 Recent marathons and runs in Lanzarote, Larne, Tanzania, climbing Mount Kilimanjaro, Belfast, Peckham, Paris, Krakow, Moscow, Kilkenny, Dingle, Reykjavik, Oslo as well as many local races and numerous parkruns have all been completed in his orange finest. In fact Andrew has sweated so much sweat in foreign climes that partner Adeline even splashed out on a new Waggy Races t-shirt for his birthday! A fantastic ambassador for our events and commendable recipient. The 11th SOWRA went to Tribal Fitness Chief Maya Curry and Irish Wolfhound/bull Arab cross Shaker. Another amazing story that involves an import from the land of Oz. Maya found Shaker as a puppy whilst backpacking in the Australian outback and brought her back to Belfast where she now lives a pretty blessed life! In her Waggy Races career, Maya has completed a race at 8 months pregnant and returned to walk with Shaker and 4 month old baby boy. This award goes to someone very deserving...but for the first time at Mount Stewart it went to a non-competitor! The SOWRA went to the superb Murphy’s Barkery. 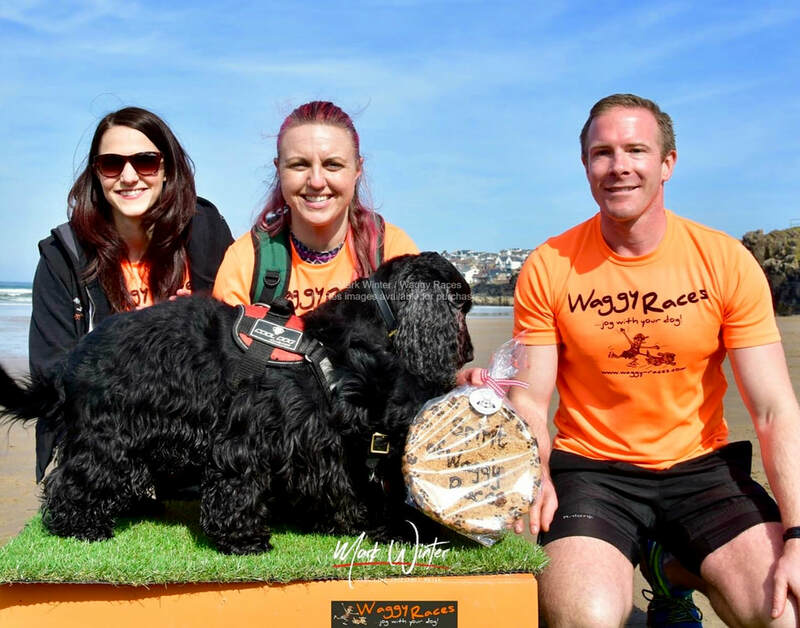 The Barkery was the only stall to set up and supply prizes at the very first Waggy Races in March 2014 and despite serious illness since, have been involved with every race - competing on occasion, setting up a stall and providing hampers and giant cookie prizes. Murphy’s Barkery – the best in the land and a very deserving recipient of one of their own giant cookies!